Appointed as the Vendor’s chosen Sole Agent, we are delighted to offer for sale this substantial four bedroom detached family home. The property is situated in a small cul-de-sac and particularly benefits from three reception rooms, in our opinion a good size kitchen/breakfast room and first floor study/nursery. 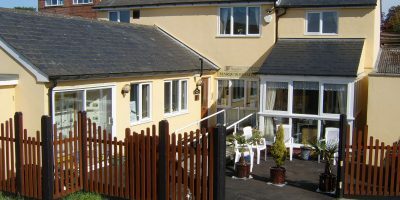 The property has the advantage of an established split level rear garden which measures 61ft wide x 80ft in depth max. There is no onward chain. The white suite comprises low level WC and wash hand basin with chrome taps and tile splash back. Coved cornice, SINGLE RADIATOR, double glazed window to side aspect and vinyl flooring. Textured ceiling and coved cornice, double glazed patio doors open to the rear garden, SINGLE RADIATOR, carpet, power points and fire door to garage. A light room with uPVC double glazed patio doors opening to the terrace. White uPVC double glazed window to both side and rear elevations, DOUBLE RADIATOR, two wall light points, power points and fitted carpet. Textured ceiling and coved cornice, wide double glazed window to the rear elevation, one and half bowl stainless steel sink unit with mixer tap inset wooden edged work surface, cupboard units below, space and plumbing for dishwasher. Continuing wooden edge work surface with space and plumbing below for washing machine, adjacent two-tier end display base unit. Wall cabinets over work surface are finished with cornice and lighting pelmet with three-tier end display unit. Wall hung gas boiler. Further wooden edged work surface incorporates oven housing unit with NewWorld twin cavity oven and grill, four ring gas hob over, corner canopy above incorporates an extractor fan. Adjacent base cabinet with concealed refrigerator, two-tier end display base unit. Further wall cabinets over the work surface are finished with cornice and lighting pelmet. A larder storage cabinet on the opposite side is also finished with cornice. DOUBLE RADIATOR, space for table and chairs, power points, tiled splash backs and vinyl flooring. uPVC double glazed door to the side. A staggered landing with archway, double glazed window to front aspect, hatch to the loft space, mains smoke alarm, power point and fitted carpet. Doors to all first floor rooms. Textured ceiling and coved cornice, wide double glazed window to the rear elevation with SINGLE RADIATOR below, power points, television aerial lead, fitted carpet, and fitted wardrobes to one side of the room with three large sliding doors. Textured ceiling and coved cornice, double glazed window to the front elevation with SINGLE RADIATOR below, fitted carpet, power points, built-in wardrobes to one wall with shelving and hanging space. Textured ceiling and coved cornice, double glazed window to the rear elevation, SINGLE RADIATOR, fitted carpet, power points and built-in wardrobes to one wall. Textured ceiling and coved cornice, wide double glazed window to the rear elevation, SINGLE RADIATOR below, fitted carpet, power points and door recess. Textured ceiling, wide double glazed window to the front elevation, SINGLE RADIATOR, fitted carpet, power points and telephone point. The white suite comprises tile paneled bath with chrome taps, bath side glass screen and Triton AS2000XJ power shower over, pedestal wash hand basin with chrome taps, and low level WC Textured ceiling and coved cornice, double glazed window to side aspect, mirrored doors conceal airing cupboard with hot water tank and shelving. Fully tiled walls SINGLE RADIATOR and vinyl flooring. Up and over door to the front elevation, power and light connected and workshop area to the rear. Courtesy door to dining room. To the front of the property, the garden is laid to lawn and neatly tended with pathway leading to the front entrance door, adjacent driveway provides off street parking and leads to the garage. The private rear garden is split level and measures 61ft in width x 45ft in depth, widening to approx. 80ft with an additional side garden area measuring 22ft x 20ft. A wooden gate from the front garden leads alongside the property and opens up to a terrace which wraps around the conservatory. The neatly tended garden is mainly laid to lawn with established borders, shrubs and raised planting. The side garden area features a concealed garden shed. Neighbouring sides are defined by a combination of panelled fencing and brick walling.